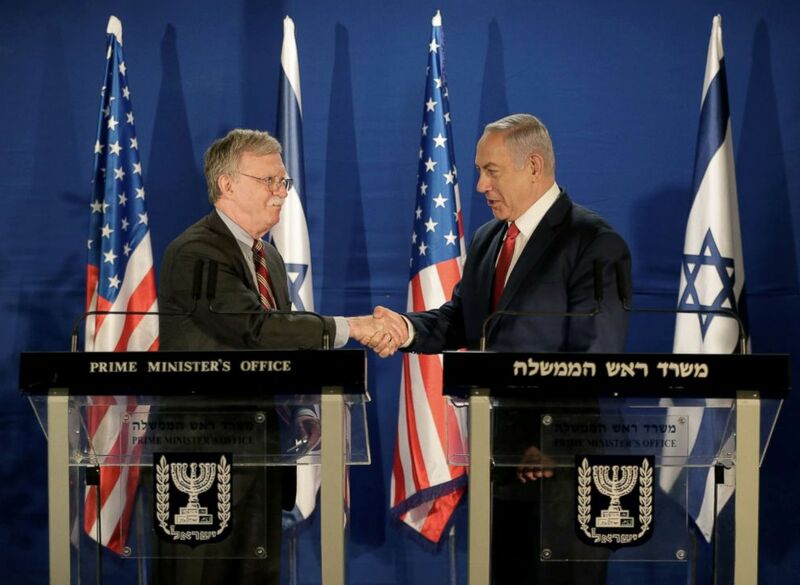 (Oded Balilty/Pool/Reuters) National Security Adviser John Bolton shake hands with Israeli Prime Minister Benjamin Netanyahu in Jerusalem, Jan. 6, 2019. 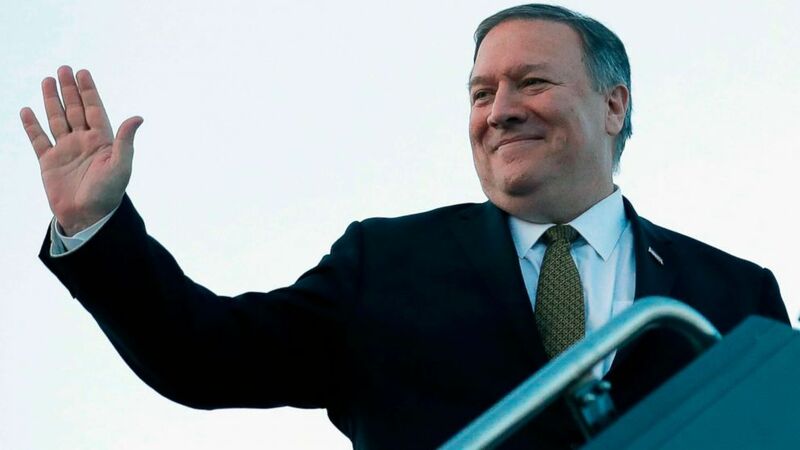 (JIm Young/AFP/Getty Images) Secretary of State Mike Pompeo boards his plane in Kansas City, Miss., March 18, 2019. 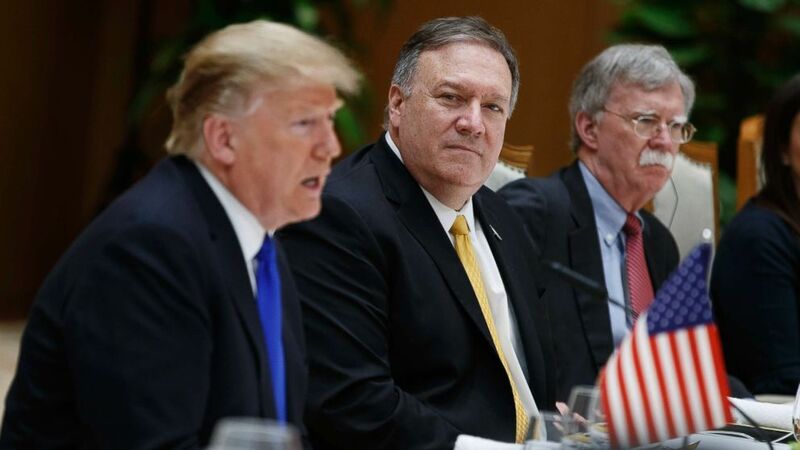 (Evan Vucci/AP, FILE) Secretary of State Mike Pompeo, center, and national security adviser John Bolton, right, listen as President Donald Trump speaks during a meeting with Vietnamese Prime Minister Nguyen Xuan Phuc, Feb. 27, 2019, in Hanoi, Vietnam. 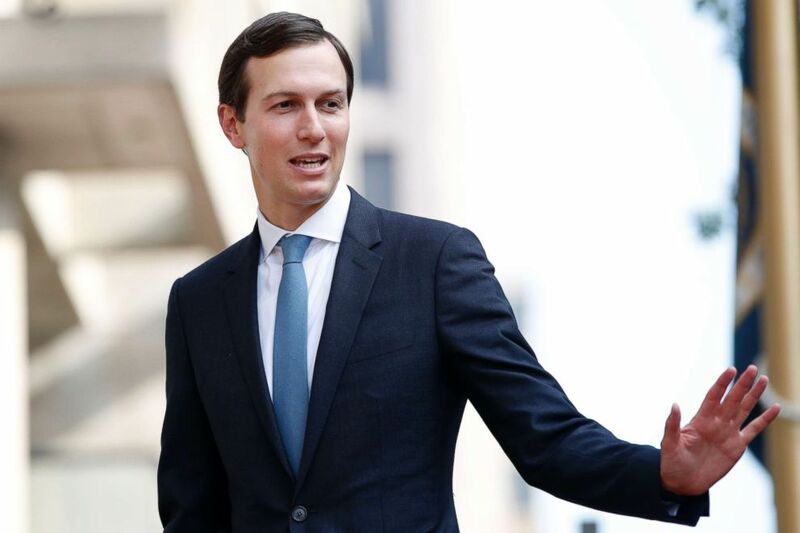 (Jacquelyn Martin/AP, FILE) White House adviser Jared Kushner waves as he arrives at the Office of the United States Trade Representative for talks on trade with Canada, Aug. 29, 2018, in Washington D.C.